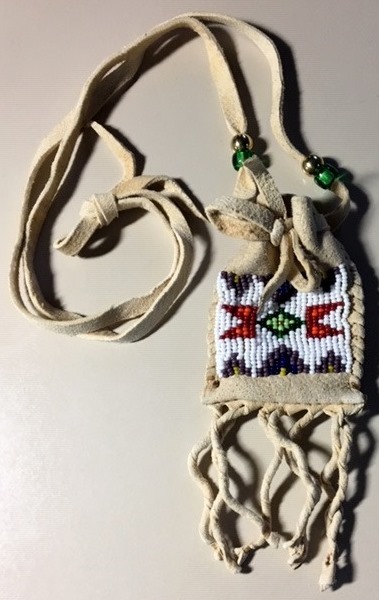 This brain-tanned medicine bag is 2 1/4″ wide and 3″ tall, plus has 2″ long fringes. It has glass and brass beads, and the whole front is beaded. It has a long strap. 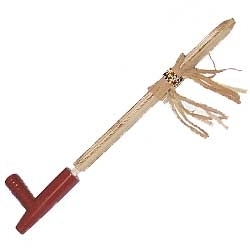 Tohono O’odham / Lakota made.